I’ve lived in Georgia all of my life. I spent the first 18 years growing up in the mountains of Blue Ridge, GA. Our family didn’t have a lot of financial wealth, but what we did have was a wealth of love, story, and education. My family made sure that my life was enriched with conversation, storytelling, and weekend car rides. I was also fortunate to have a weekly trip to the library to get an armload of books. My mom took me to the library often, so much so, that they knew me by name when I walked in the door. We spent lots of time curled up with great books. I’ve always loved reading, and I think my dad always thought I would grow up to be a teacher. That’s not where I started though. First I wanted to be a doctor. Then, I started college as a music major, which turned out to be a horrible experience with a college professor who ridiculed me more than made me feel like a musician who could grow into a band director. I thank him though, because without his torture, I might not have taken the path that I did. After freshman year, I switched my major to early childhood education due to my love of learning, love of reading, and love of helping others discover their own passions. During my student teaching at Colham Ferry Elementary in Watkinsville, GA, Martha Brodrick offered me a teaching position, which I accepted. I’m so thankful for her early support of my teaching career. For seven years, I taught 3rd grade. During this time, reading and writing were the subjects that I was most passionate about and my students were involved in many reading and writing projects that put their work into the world. For example, one year students wrote poetry about historic sites in the community and published a books that was put in waiting rooms around the county. Another year, students sent a bear traveling around the world through the mail and wrote his story using their imagination and the pictures and objects he collected along the way. During this time, I got my Masters in Children’s Literature and Language Arts. You will probably notice that so far I haven’t mentioned a thing about technology. That’s because my classroom had a chalkboard for all 7 years that I was there. I had 3 clunky, unreliable computers that we rarely touched and the computer lab was in another building and hard to schedule. I certainly was not a technology leader in the classroom, but I loved being a classroom teacher and had many successes. It built my foundation in education and has made me such a better librarian today. But how did I make my way to being a librarian? The media specialist (librarian) at Colham Ferry was wonderful. Kathy Graham was a master of weaving together multiple ways for students to experience a topic. It seemed that no matter what topic you gave her, she would bring boxes of stuff from her house, gather pictures and websites into slides, and create centers that allowed students to explore a topic in multiple ways. I had always loved libraries, enjoyed being in them, and started thinking that the library might be a place where I wanted to be in my career. I began exploring my options and talked to several people who went to the University of Georgia program. I applied to the UGA specialist program. The letter came in the mail, and I was……..DENIED! It seems that a subset of my GRE scores were not quite high enough even though my portfolio of work and accomplishments showed much more than a number on a test. Sound familiar? But alas, the test score ruled and I wasn’t in the program. I was devastated and thought I would never be in the library. After a few days of pity party, I got mad and decided to do something about it. After exploring with UGA, I discovered that I could still get in the program in the same semester if I took the GRE again. I registered for the test and then spent hours studying vocabulary, taking practice tests, and learning strategies. I’m a terrible test taker, but I thought that surely I could boost my score by a few points. I took the test, got the points, and applied to the program again. This time the letter came in the mail, and…..I was in! The UGA program and professor, Mary Ann Fitzgerald, were transformational for me. For the first time, I really started to understand what it meant to take control of my own learning, to develop my professional learning network, and to use multiple formats of information to explore and create. In those 2 years, I learned more about using technology than I had learned in all of my other college coursework. Halfway through the program, a position opened up at Barrow Elementary. I knew that the media specialist was incredible and that many people would be competing for the job. For that reason, I decided not to apply. I’m good at second guessing myself and talking myself out of things. I figured that I was only halfway done with my program and that there was no way that they would hire someone who didn’t even have a library degree yet. One day driving to school, it was like someone smacked me in the head, and I asked myself, are you crazy? Why not give it a try? This might be an exact fit, and at least it’s good interview practice. So…I applied, got the interview, interviewed, got the second interview, and that’s how I became the librarian at Barrow. I finished my EdS during that first year and was able to use my own library in my research and exploration. I can’t thank Mary Ann Fitzgerald enough for pushing my thinking, supporting my decisions, and opening my eyes to what it means to be a life long learner. Once I became a librarian, other librarians and educators continued pushing me to stretch and grow as a librarian. Buffy Hamilton is one of those librarians. I can’t even begin to count the times that I saw something that Buffy was doing and it pushed me to rethink my own understanding of library. Buffy also shared my work in numerous ways from conversations to conference presentations and her support connected me with so many other libraries and librarians. The librarian community is inspiring. There are so many educators within our profession doing amazing work. Each year, I add layers onto my own role as librarian and new layers onto our library program because of these great people. Each year I understand more about using technology to consume and create and how digital literacy weaves together with so many other kinds of literacy. There’s no way I could name them all, but just to start, I give so much thanks to librarians like Shannon Miller, Jennifer LaGarde, Matthew Winner, Sherry Gick, Shawna Ford, Jennifer Reed, Cathy Potter, Jenny Lussier, Okle Miller, Edie Crook, Shawn Hinger, Shannon Thompson, Tanya Hudson….the list goes on and on. Each day, I connect with someone new and my understanding of library grows. This entry was posted in Reflection and tagged #whylib, becoming a librarian, librarian roles, librarian stories, libraries. Great story, Andy. You’ve inspired me to write my own. Awesome! Join the conversation. I love how this kickstarted on Twitter yesterday. Thank you for your post—so inspiring! and like Shannon Thompson mentioned above–you’ve inspired me to write my own, as well. I look forward to reading it. 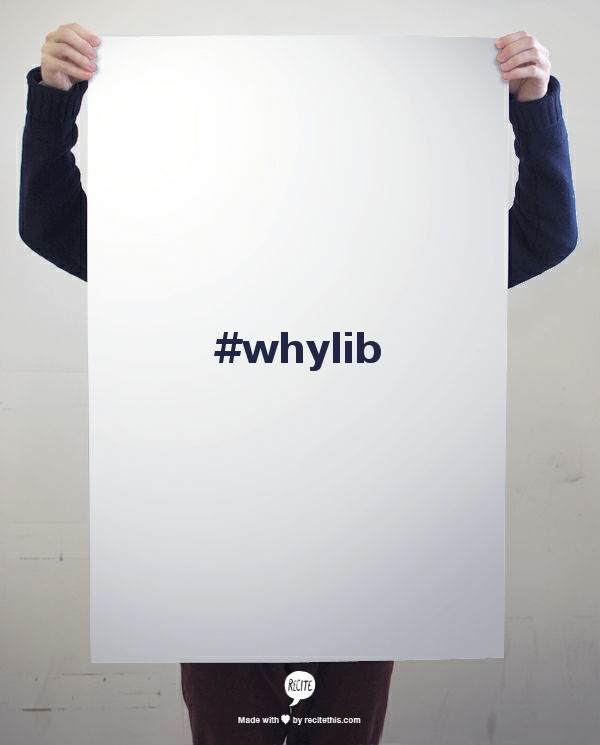 Be sure to tag it with #whylib on twitter. What an inspiring reflection, Mr. Plemmensa, of overcoming self-doubt while at the same time listening to that voice of encouragement and drive! Thanks for sharing this on #whylib. Please don’t leave Barrow… Your calling there is unfinished. Why would I want to leave Barrow? It’s a great place to be. I have lots of ideas left 🙂 Thank you for your support! I love this post, Andy. It is honest and inspiring. Thank you for sharing! Thank you Meg! I’m so happy to be in this profession. Terrific story, Andy! And so glad to be a part of your growing understanding of libraries (as you are MINE!). Keep being awesome! You too, Matthew! Thank you. Hope we get to hear a bit of your story too. I am so very thankful you are persistent! The TL world would have a Andy sized hole without you. 🙂 You inspire me so much & I’m thankful to be a part of your PLN.